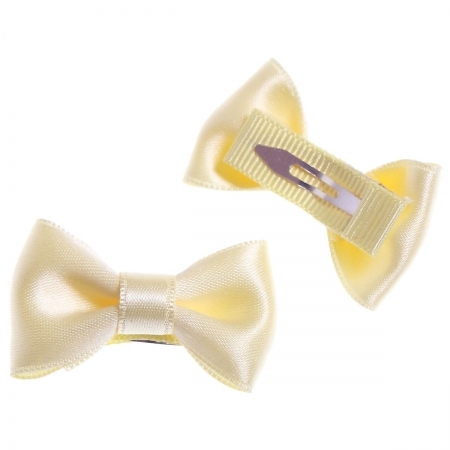 One pair of ivory hair bows with clips. Size 4cm length x 2.8cm width. Hand made in satin ribbon material. Very firm grip suitable for baby girls with little fine hairs. Hand made to the very best standard.